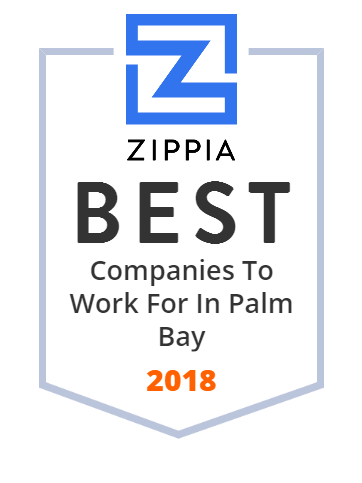 We hand-curated a list of the best companies to work for headquartered in and around Palm Bay, FL using data on salaries, company financial health, and employee diversity. Since 1989, MC Assembly, majority owned by Cyprium Investment Partners, has been a provider of full turnkey contract manufacturing services. The primary services offered by MC Assembly include: new product introduction, printed circuit board assembly, box build/integration, engineering support services, and test development. Today, the company has approximately 1,200 associates in its headquarters site in Melbourne, FL, as well as locations in Billerica, Massachusetts and Zacatecas, Mexico. Palm Bay is located on Florida's east central coast and is close to Melbourne and Orlando International Airports and Port Canaveral. It operates under the council-manager form of government. Palm Bay is family and citizen focused with parks, outdoor adventures and healthy living. The city has 18 public and private K through Grade 12 schools, also 29 city parks which include paintball and skateboarding, an aquatic center, a 200 acre regional park, two public / private golf courses, Turkey Creek Sanctuary, nearby beaches. ISO Group is a supply chain partner for the defense and aerospace industry whose main purpose is to maintain and sustain critical platforms and equipment. Its solutions enhance operational readiness for over 2,000 weapons systems and platforms. Clients include the United States Government, over 50 foreign governments and other clients on six continents. The Defense Logistics Management System (DLMS(tm)) is the heart of its operations and a database of over 125 million part numbers and 12,000 certified suppliers. Its corporate headquarters are located in Palm Bay, FL. St. Joseph Catholic Church, located in Palm Bay, Florida, ministers to over 1700 families in its community. The church not only has its own ministries that encourages the spirit of service, participation, and growth in the Catholic faith but also outreach organizations such as St. Vincent de Paul, The Knights of Columbus, and Ladies Auxiliary, and a fully accredited Pre-K through 8th grade Catholic School. FAR Chemical is a chemical manufacturing and custom hazardous material packaging company. It provides chemical services such as custom manufacturing, contract and toll manufacturing, chemical development and processing, custom repackaging, lab and analytical support. FAR Chemical also produces a propriety line of FARMetl(tm) acetylacetonate products used in a broad range of applications. Its products are used in the pharmaceuticals, electronics, polymers and plastics, personal care, and other industries. FAR Chemical, founded in 1983, is headquarted in Palm Bay, FL.